On Sunday, 20th November 2016, a program of community prayer for world peace and harmony was conducted at M.A.Math, Nerul. The day’s event included a Graha Shanti Homam and Shani Puja, that was well-attended by devotees from all parts of the city. 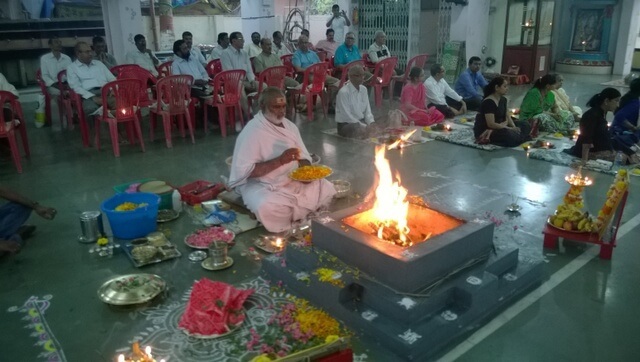 The Homam commenced at 5pm, accompanied by the chanting of the Ashtotthram, the Navagraha Stotram and the Shiva Panchakshara Stotram. The Shani Puja was performed, accompanied by the chanting of the Shani Ashtotthram. This was followed by a soulful bhajan session and meditation, that concluded with a prayer invoking Divine grace for love, faith and devotion. 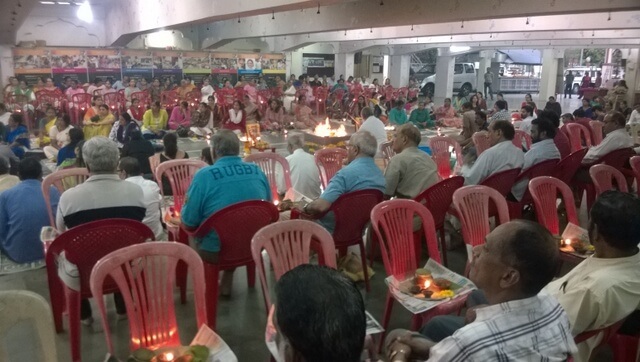 The Maha Arati was performed after which Mahaprasad was served to everyone present.